Wondering what to do this weekend? When it’s dipping below 50 degrees in parts of the world, what better way to keep warm than to hover near the humming warmth of a gaming console. The eShop’s got you covered – this week’s Nintendo Download includes SMITE, a game offering a multiplayer online battle arena that puts the power of the Gods in your hand. Then there’s the equally awesome power of the Goat Simulator, with GOATY bringing any fantasies of being a goat to (virtual) life. There’s plenty of new content to check out this week, so read below for the full details. Let us know how you’ll be keeping warm this weekend. 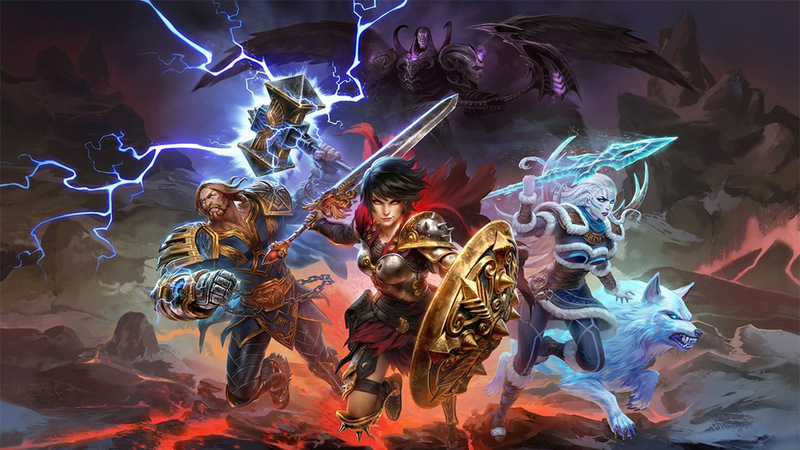 SMITE – The SMITE game offers a multiplayer online battle arena that puts the power of the Gods in your hands, with an ever-expanding roster, new events, variety of skins and biweekly updates. Jump into the action as one of more than 90 Gods from Pantheons around the world. Play as iconic figures like Ares, Thor, Hercules, Wukong and Medusa. Purchase the SMITE Founder’s Pack to get bonus loot as well as access to the closed beta. Pikuniku – Pikuniku is an absurd puzzle-exploration game that takes place in a strange but playful world where not everything is as happy as it seems. Help peculiar characters overcome struggles, uncover a deep state conspiracy and start a fun little revolution in this delightful dystopian adventure. Unruly Heroes – The sacred scroll preserving harmony in our world has been torn up and scattered in the winds. Now, strange and terrifying creatures are sowing discord and chaos throughout the land. Inspired by the Chinese novel Journey to the West, the Unruly Heroes game is the adventure of four totally opposed, implausible heroes who must collect all the scroll fragments and travel to fantastical worlds to restore balance … or die trying. Goat Simulator: The GOATY – The Goat Simulator: The GOATY game is the latest in goat simulation technology, bringing next-gen goat simulation to YOU. You no longer have to fantasize about being a goat – your dreams have finally come true. Goat Simulator: The GOATY is all about causing as much destruction as you possibly can as a goat. Destroy things with style and you’ll earn even more points. When Ski Lifts Go Wrong – Start in the rolling foothills and journey up to the jagged and exposed peaks. Puzzle over carefully designed scenarios to help every passenger reach their destination. Construct various facilities and infrastructures such as chairlifts, gondolas, jumps, bridges and ramps to guide the riders across more than 100 hazardous levels. Great deals this week! Check out the full list of deals available this week. For example, the great Double Cross is reduced to $14.99 this week as part of a New Year’s sale. Super Smash Bros. Ultimate Piranha Plant Limited-Time Offer – There’s only one week left to purchase and register your Super Smash Bros. Ultimate game by Jan. 31 for a free download code to play as Piranha Plant when it releases. Get all the details at https://smashbros.nintendo.com/buy/#piranha-plant.